This Snoopy and Woodstock cookie jar is just what you need to store your cookies. 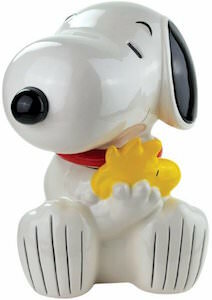 The cookie jar looks like Snoopy and he is holding Woodstock in his arms. Just imagine having this big dog sitting on your counter with cookies inside! 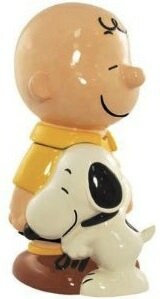 Snoopy is made from high quality ceramics and is just adorable. Cookie needs a space and a special cookie jar like this is the perfect space to store the fresh cookies that you didn’t eat already. 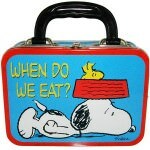 The Snoopy cookie jar is 8.8 x 8 x 11 inches and can be handed down for many generations.